Gate Openers Direct offers a large selection of slide gate operators. 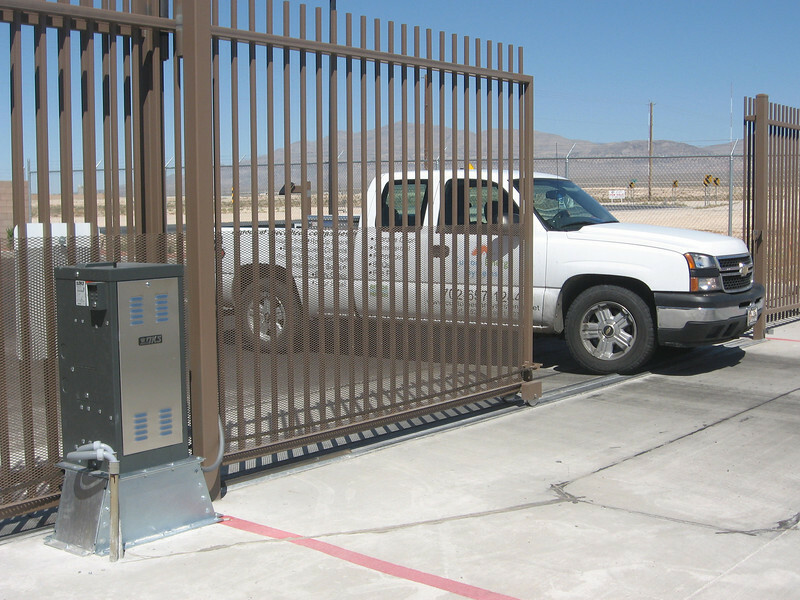 A slide gate opener is perfect to use when space is limited behind the secured facility, so the gate runs parallel to the fence or wall. They are also an excellent choice for driveway gate automation when the site has steep grades. Steep grades can prohibit the use of a swing gate. Slide gates use V-groove wheels on a track. Gate roller guides are used to guide the gate and keep it upright. A mooring point, also called a gate catcher, is on the opposite post to stabilize the gate in the closed position. Gate Openers Direct offers the top brands in Slide Gate Operators from Apollo, Doorking, FAAC, Chamberlain, Viking Access Systems and more!